Our heartfelt Thanks to our long-standing supporter, Julie B. from Oklahoma! She gave a generous donation of $500 during our Give to the Max Day and selected to purchase two computers from our Become a Classroom Hero donation page. 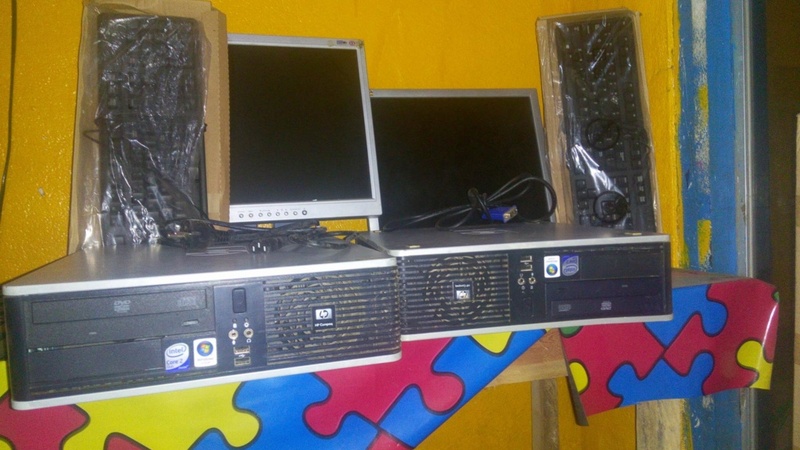 Earlier this month (January 2019), we purchased two new used desktops for our computer training lab. As a result of Julie’s generosity, our computer lab continues to benefit the Liberian Youth taking our most popular course. Thank you so much, Julie, for these two beautiful computers! This entry was posted in Africa, Computer Lab, Computer Training, Computers, donation, education, fundraiser, Generosity, Give to the Max Day, Liberia, Thank You, Uniting Distant Stars, vocational training, youth development, Youth Empowerment and tagged Africa, Become a Classroom Hero, Computer Lab, Computer Training, education, Fundraising, Liberia, NGO, Skills Training, Thank You, trade school, Uniting Distant Stars, Vocational Training, Youth Development, Youth Empowerment. Bookmark the permalink.